nine « AFTER THE POP ! this last year seems to have spun around like a drum of pastel cotton candy. 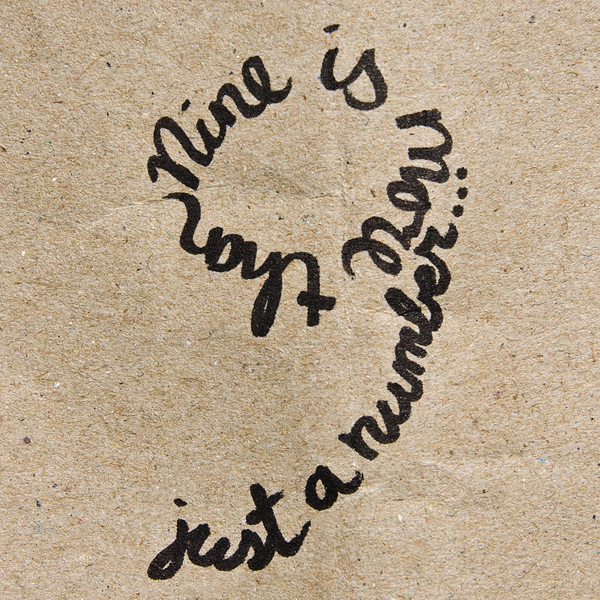 nine seems such a passive number- especially when compared to 5 or 10 or even 20. but 9 is my number today and i humbly admit that i am full of wonder and satisfaction. i can’t say i care to repeat any of these past 9 years. but i do believe i have repeated several aspects of those years because i haven’t discerned all the lessons to glean from life yet. sometimes those repeats come seasonally. one might say that september rings in a cyclical situation for me. in hindsight, each september has heralded some very crazy emotional chaos. this year is no exception. i might as well be standing inside a car wash with the suds writhing and building, the jets streaming, and the noise so loud that i can hardly hear my own thoughts. i dropped my car off at a corporate run garage to have a gauge replaced. when i went to pick it up after work they were unable to locate the key to my vehicle. i stood around for an hour until i started to squawk. this caused one guy to look in the same place 2 other guys had looked twice but he found them. happily i got my car and heard a kathunk kathunk kathunk coming from the back axle somewhere which wasn’t around when i dropped it off. i took it back and heard the tech shout i don’t know what he’s f**king talking about . i changed a gauge and that’s it- who knows what he’s up to. feeling some sting from the total experience, i quickly drove to get the emissions tested which was a 2nd goal for the afternoon. i waited in line 40 minutes and then realized that i would not be able to pay with a credit card and there was no atm. i drove to a bank for a withdrawal and then drove back but arrived 5 minutes past the closing of the emissions shop. all so stupid it isn’t funny. but i have to laugh. my plans are simply that- my plans- not the law. the absurdity here is overshadowed by the grace-filled perspective these 9 years have given me. this is the best gift i have known. all the levels of awareness that make up my being have shifted during these 9 years. i have let go and let go and let go once more. the onion metaphor holds true as well. each layer of understanding i peel away reveals another layer with another following that.. with the 12 step program and my journey with buddhism, i have uncovered a design for survival which allows me to be awake during turmoil. what i haven’t mastered yet is the blueprint for my crazy. this year coupled with a quick but insightful phone conversation (phone-a-friend) shed light on the september insight. throughout my lifetime, it seems i have always begun something a this time of year. i got sober in september. i hopped the tracks in september and caught a train going in a different direction. it just could be that i am perpetuating that process. whatever the answer really may be, i have learned that i don’t have to know it all today. so i’ll have my slice of quiche and my dark chocolate gelato and hold a wish for all of you that you find this relief i now wade in. This entry was posted in 2nd stage recovery, 9 years, emotional sobriety, patterns, sobriety birthday.